Are you using MYOB in your business? Where is your data file located? Do you back it up regularly? One of our clients recently experienced data loss with their MYOB system. This particular client uses us on an ad-hoc basis. Their understanding was that the MYOB data file was on the server, therefore, it was being backed up by the server backup system. The PC that had MYOB loaded onto it had a hard drive failure. It was at this point that they realised that the MYOB data file was on the PC, not the server. The hard drive had to be sent off to a data recovery specialist. The price to retrieve data was quoted at $700-$1200 with a 50% chance of recovery. If you are running MYOB and are not sure where you data file is, or are just assuming it is on the server, please contact us and get it checked. We don't want to see this happen again. If you have any questions about this, please call me on 43370700 to discuss. The recent Federal budget has incentivised small business by offering a 100 per cent deduction for equipment purchases to a generous limit of $20,000 per item. What could that mean for your business? So, computers, cars, vans, kitchen equipment, tables and chairs, machinery, tools, servers, laptops and other items costing under $20,000 can now be 100% written off. The immediate deduction applies to as many items as a business can afford. 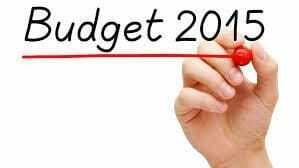 Assuming the budget measures are passed, the scheme will stimulate the economy and encourage business to spend. The scheme runs until 30 June 2017. Fringe benefits tax used to be payable on technology items packaged through your salary. These items are now exempt. You can offer your employees technological items as part of their salary package without the overhead of calculating and withholding FBT. Well, a number of our clients have come to us to help them develop a disaster recovery plan (DRP). One such client is Community Care Services. Community Care Services are an organisation that provides dementia support services to people in our local community. So when a storm hits, their services cannot just stop, they are needed more than ever. The office for Community Care Services is located out at West Gosford. They were hit hard. At time of writing, there was still no power, and they are unsure when power will be available. On Thursday 23rd April, we packed up their servers and a number of critical workstations and relocated them to our lunch room. We then diverted their email and essential database services to our firewall, which then routed them to their servers. We now have a very full lunch room.